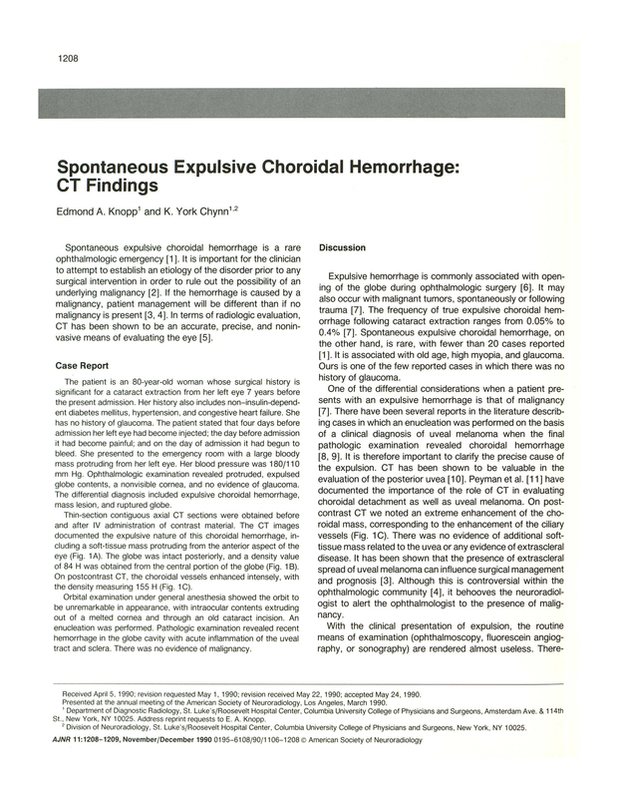 Spontaneous expulsive choroidal hemorrhage: CT findings. Department of Diagnostic Radiology, St. Luke's/Roosevelt Hospital Center, Columbia University College of Physicians and Surgeons, New York, NY 10025. You are going to email the following Spontaneous expulsive choroidal hemorrhage: CT findings.